For Health, Weight Loss, and Fitness. 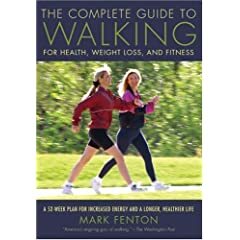 All you need to get fit is your own two feet--and a copy of Mark Fenton's classic Walking book, now fully revised. 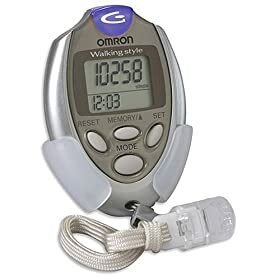 Now you can just drop your pedometer in your purse to find out how much exercise you get in a typical day of work, errands, and other tasks. Walking Workouts For A Lifetime Of Fitness. 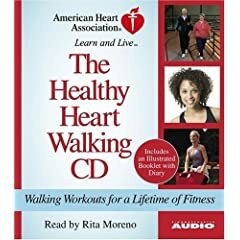 The leading crusader in the fight against heart disease and stroke presents two complete walking workouts to help you get started. America's most beloved fitness expert, Kathy Smith, takes you on three different, multi-level power walks designed to help you drop body fat, firm up your lower half, and get in the best shape of your life. 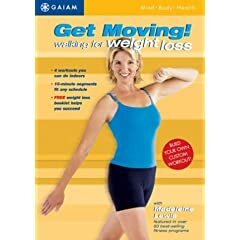 Integrates fitness-walking movements with low-impact aerobics techniques, creating energizing 10-minute indoor workouts almost anyone can do anytime, anywhere. The Five Mindful Steps for Lifelong Health and Energy. A revolutionary program that blends the health benefits of walking with the core principles of T'ai Chi to deliver maximum physical, mental, and spiritual fitness. High Energy Hits Walking is filled with songs you know and love, formatted into two 30-minute workouts.